Tire Alignments - Parker Automotive Inc.
A large number of people wonder just what a wheel alignment actually is! They have heard of it, but are not entirely sure what it involves or why they need it! To put it in as simple terms as possible, performing a wheel alignment is basically just making some adjustments to the angle of a vehicle’s wheels so that they sit both perpendicular to the ground below and parallel to the other wheels on the vehicle. When your car’s wheels are in perfect alignment you will benefit from an extended life on your tires and better handling since your car will drive straight on level roads without pulling to one side. Wheel alignment is not the same thing as wheel balancing. In fact, these two processes share nothing in common other than the fact that both can have an impact on the way that your car handles. 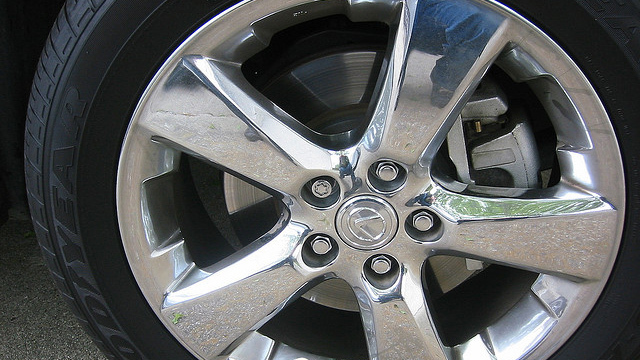 When a wheel is off balance you will know because it is going to result in vibrations passing up through the car seats and also the steering wheel whenever you drive at higher speeds, such as on the highway. On the other hand, unless the car is substantially pulling to one side you may not notice that your wheel alignment is off, but it will cause excessive wear on your tires as well as steering and/or tracking issues while driving.